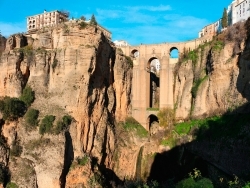 Ronda is situated in the furthermost northwest point of the province of Malaga and, surrounded by a continuity of high mountains "La Serranía". 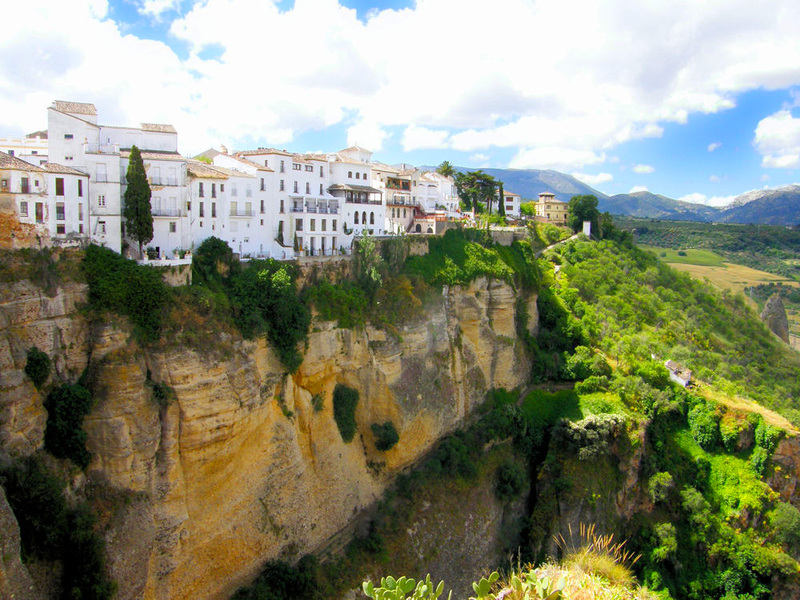 It`s one of the oldest towns in Spain and has its origin in the prehistoric period. The city still conserves remains of the Arab influence, such as the Arab Baths, The Almocabar Entrance Door etc, but the diversity of monuments and the impressive " El Tajo" (famous gorge over 500 foot high), shows us Ronda itself as a real monument. 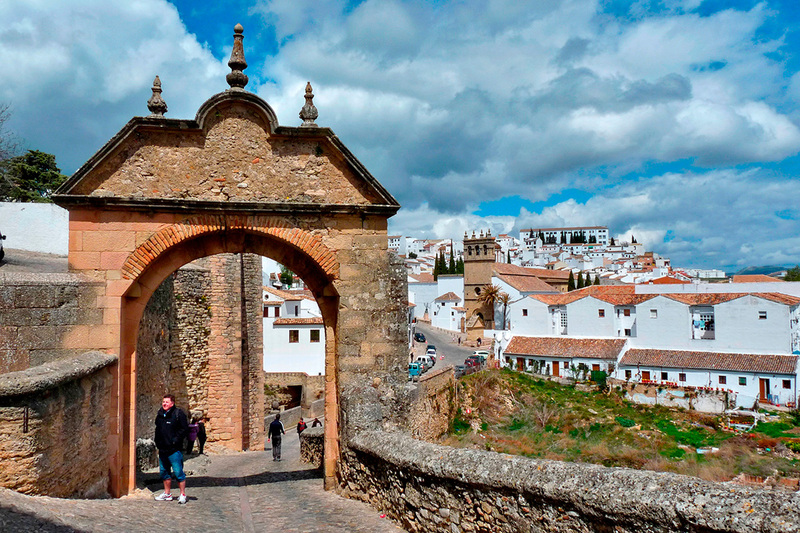 Departing from Almocabar´s entrance door (a walled entrance), and walking towards, Espiritu Santo´s church we will arrive to the Town Hall Square to visit The Cathedral of Ntra. Sra. De la Encarnacion (todays named "Santa María La Mayor Church"). 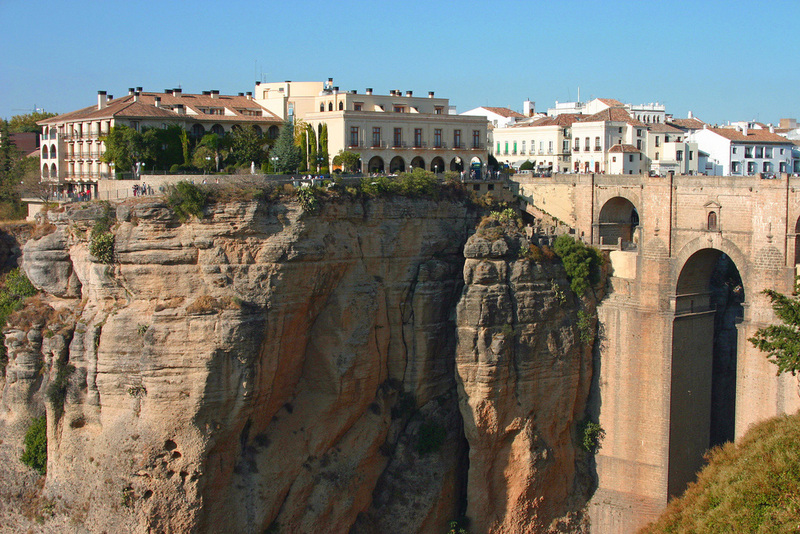 We will then continue the tour through the municipal museum to arrive at D. Juan Bosco House, later we will see the Plaza the España Square and the Famous "El Tajo" (Gorge 700 meters deep) with its fantastic views. 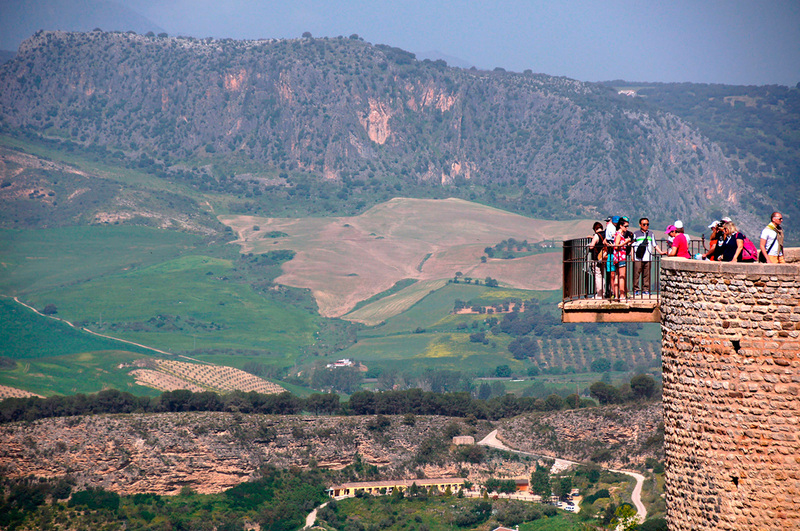 Finally we will visit the a winemuseum with tastings and Bull Ring of Ronda (the oldest in Spain) and its museum. 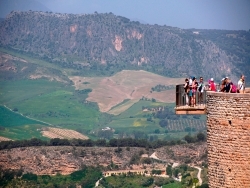 Free time for shopping and return to Costa del Sol. 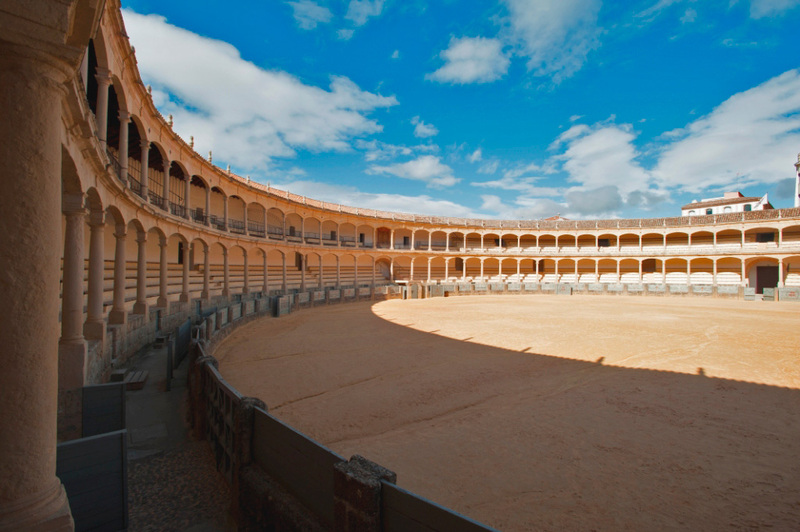 1.- Without lunch: Includes motorcoach, tour guide, local tour guide and tickets to the bullring and winemuseum. No lunch included. Tuesdays and Saturdays from Costa del Sol and Thursdays from Costa Tropical. Collection at hotel receptions. Private tour includes: Car and driver, Official guide, Entry to the Bull Ring, Don Bosco Palace & Collegiate Church, visit Alameda, Arabic Quarters and New Bridge, Lunch, Free time. 2 persons €280, 3 persons €210, 4 persons €215, 5 persons € 185, 6 persons €165, 7 persons €155.